Will Smith’s Latest ‘Concussion’ Trailer Is Intense!!! 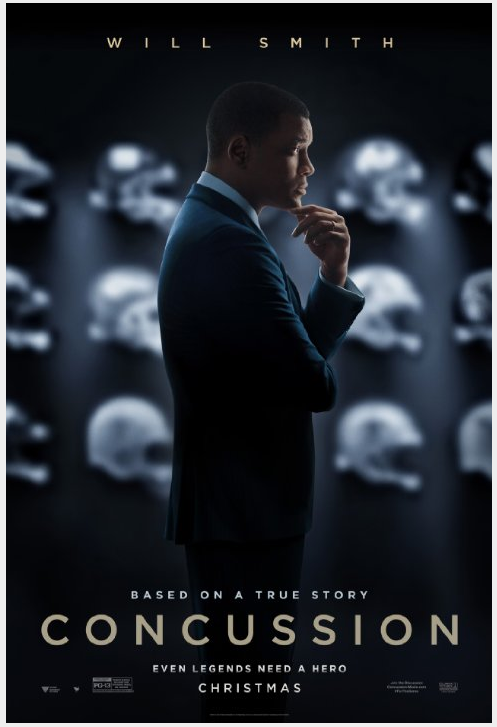 Will Smith stars in ‘Concussion‘, a dramatic thriller based on the true story of American immigrant Dr. Bennet Omalu, a brilliant forensic neuropathologist who first discovered CTE, a football-related brain trauma, in a pro-player and fought against the NFL to bring the discovery to light. Dr. Omalu goes toe-to-toe with one of the biggest institutions in the world, pushing hard to make the life-long debilitating problems resulting from CTE a known statistic. Writer/Director Peter Landesman (‘Parkland‘) directs Smith, Albert Brooks, Alec Baldwin, Paul Reiser and Luke Wilson that is set to open on December 25, 2015. This entry was posted on Monday, August 31st, 2015 at 1:38 pm	and is filed under Film, News. You can follow any responses to this entry through the RSS 2.0 feed. You can skip to the end and leave a response. Pinging is currently not allowed. « Nicolas Cage’s Latest ‘Pay The Ghost’ Trailer Is Here!! !